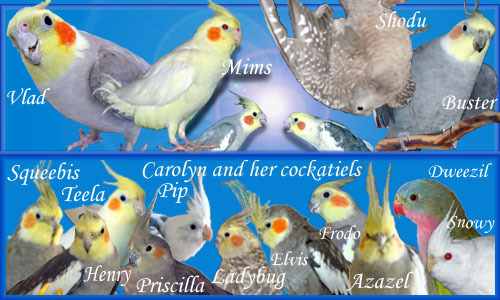 Cockatiels are not fruit eaters why is that is it because they are from Australia? What about Budgies because my Budgies loved fruit. Fruit isn't part of their natural diet in the wild, so they don't have an instinctive desire for it and tend to dislike it. I think budgies tend to accept it better than cockatiels do, but it's probably not part of their natural diet either. The sweetness had to be fairly intense before the birds acted like they even noticed the difference, and when they did notice the difference they rejected the sweet water in favor of the plain water. The way they perceive sweetness is probably different than the way we do, and they don't seem to like it. Which is one reason for them to not like fruit.